Discover and explore the sights, sounds, and authentic flavors of Greenville through the city’s charming historic downtown. Enjoy four locally created dessert specialties as you walk with your guide from one unique cafe to the next. Developed with dessert lovers in mind, this tour is ideal for those who enjoy sweet creations made especially for them! 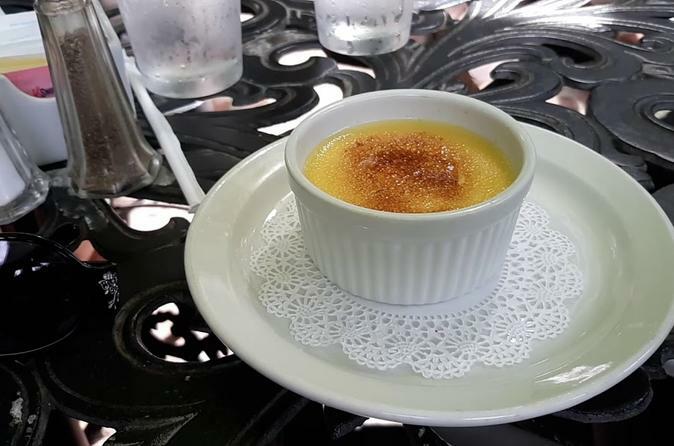 Jump right in and join us on the Greenville Just Desserts Tour as we walk and explore together some of Greenville’s finest hand crafted dessert creations and locations. Tempt your taste buds with samples from culinary artisans creating one-of-a-kind sweet treats for you to enjoy. Bring your friends, this is an enjoyable way to “stop and smell the roses” and experience all that Greenville has to offer. Eat at a historic rooming house and railroad stop from the early 1900’s, enjoy some homemade ice cream at the site of a former cotton warehouse, these stops and more await you on this tour. Book your tour today! This sweet sojourn in Downtown Greenville begins at Brick Street Cafe, located at 315 Augusta Street. Here you will sample authentic southern recipes and cakes that have been delighting Greenville residents for decades. The wonderful character and history of this cafe is something to see and experience - it is truly one of a kind. The adventure continues with a stop at Mary’s Cottage, a beautiful historic restaurant that overlooks Falls Park. Here you will sample homemade delights with a picturesque view of Falls Park and the surrounding area. We continue with a trip to the French Bakery, where you will experience “authentic French pastries” created by the chef/owner. Bon Appetit! At the entrance to Falls Park, we stop at Spill the Beans Coffee for a sample of their specialty - homemade ice cream - which is hand crafted in-house every day. Our final destination is Larkin's on the River, one of downtown Greenville's oldest fine dining restaurants and serves award-winning fresh fish, aged steaks, and old wine. Here you will enjoy a special, hand crafted dessert made especially for you by Larkin’s chef. This will be a memorable tour in this beautiful southern belle city with all of its charm. Book your tour today!